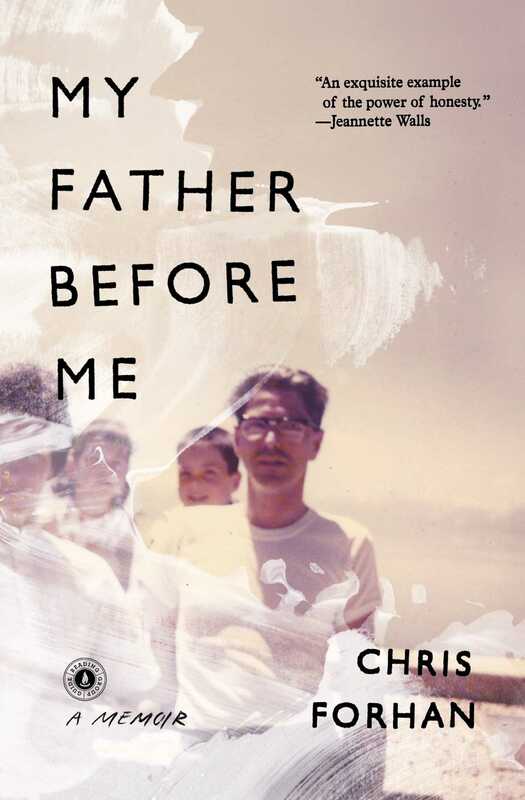 An award-winning poet’s “beautifully written” (The Seattle Times) portrait of an American family and his own coming of age in the 1960s and 1970s in the wake of his father’s suicide. This memoir “belongs on the special shelves we keep for the books we cannot quite forget” (George Hodgman). The fifth of eight children, Chris Forhan was born into a family of secrets. He and his siblings learned, without being told, that certain thoughts and feelings were not to be shared. On the evenings his father didn’t come home, the rest of the family would eat dinner without him, his whereabouts unknown, his absence pronounced but unspoken. And on a cold night just before Christmas 1973, long after dinner, the rest of the family asleep, Forhan’s father killed himself in the carport. Forty years later, Forhan “excavates both his lost father and a lost era in American history” (Bookpage). At the heart of this “fiercely honest” (Nick Flynn) investigation is Forhan’s father, a man whose crisp suits and gelled hair belied a darkness he could not control, a man whose striking dichotomy embodied the ethos of an era. Weaving together the lives of his ancestors, his parents, and his own coming of age in the 60s and 70s, Forhan paints an “achingly beautiful” (Buffalo News) portrait of a family “in the tradition of Geoffrey Wolff” (Booklist). “Poignant…affecting…Forhan describes his family’s healing and acceptance with warmth, humor, and an admirable lack of bitterness” (Kirkus Reviews). A family history, an investigation into a death, and a stirring portrait of an Irish Catholic childhood, all set against a backdrop of America from the Great Depression to the Ramones, My Father Before Me is “an exquisite example of the power of honesty” (Jeannette Walls), “a wonderfully engrossing book…essential for all parents and children, that is, all people” (Library Journal, starred review). This reading group guide for My Father Before Me includes an introduction, discussion questions, and ideas for enhancing your book club. We hope that these questions will enrich your reading group’s conversation and increase your enjoyment of the book. When Chris Forhan was fourteen, his father killed himself in the carport of his family’s Seattle home. Much of Forhan’s father’s life was a secret. Forty years later, Forhan sets out to discover the roots of his father’s stoicism, an exploration that takes him back multiple generations. Forhan mines his family history—from the hardscrabble immigrant lives of his ancestors, to his parents’ courtship and marriage, to his own childhood memories of a man whose life was shaded by contradiction and mystery. Out of tragedy Forhan discovers his resilience, his voice, and his own passion for life. 1. Forhan often returns to the theme of silence as it relates to his father’s suicide. He writes, “Suicide is a paradox: self-expression through self-annihilation. It’s the last word: perfect, unanswerable” (page 12). As an accomplished poet, Forhan chooses to fill that silence with language and imagery. How does poetry both overcome silence and inspire it? 2. Ed Forhan’s inability or unwillingness to teach his children “to fathom and navigate [their] inner lives” made him “a typical father of his generation and perhaps a typical Irishman, deft at employing his charmingly wry wit to deflect attention from what unsettled him, what he could not possibly begin to talk about” (page 80). Does your own experience with the generation that came of age in the 1940s and ’50s match this observation? How does this portrayal compare to “the immigrant’s habit of hard work” described on page 100? 3. Reflecting on the relationship between his maternal grandparents, Forhan describes “two selves” within each individual: our internal self (the self we think we are) and our external self (the roles we inhabit). Where else in the book do you see two selves within one person? How does the consumerism of “1949, boom time in America” and the notion that “people did not talk about the self much then” fit into this theory of private and public selves (pages 32 to 33)? 4. Forhan explains his evolving thoughts on Catholicism by wondering about his father: “Maybe he was a Catholic in the way he was an orphan and grandson and father: it was something that happened to him, so it was something that he was, not something to think about” (page 121). How do Forhan’s childhood experiences inform the way he comes to distance himself from the Catholic faith? How, alternatively, do his experiences contribute to his adult sense of the issues with which religion grapples? 5. Forhan says that “we never shake the essential emotional experiences of our childhood; in fact, we create a life in which we oblige ourselves to revisit them” (page 293). Why do you think we always harken back to our early childhood experiences? How is this book a road map for overcoming past trauma? 6. Forhan often acknowledges the unreliability of memory, at one point writing that some memories are “indelible, perhaps, because they [are] half real and half created by imagination” (page 91). Where does memory intersect with imagination in the book? 7. From wanting to be one of the Beatles to closely identifying with Elvis Costello, Forhan has a youth filled with a love for music. How do these references enhance your sense of the era? In which moments do you see his immersion in music informing who he will become as an adult? 8. Much of the behavior in Ed Forhan’s life that confuses or frightens his children—his car crashes, days spent sleeping, missed dinners—might be explained by his diabetic condition. Yet when Forhan feigns delight in his father’s erratic driving, his mother chastises him. Forhan writes, “[T]he curtain between the child’s world and the adult’s lifted; I glimpsed a darkness, an uncertainty I was living in and rarely sensed but that my mother was aware of constantly” (page 164). At what point in the book do you feel Forhan becomes aware of dysfunction in his family? How does his reaction to his father’s behavior change over time? 9. While his father was a joiner, Forhan harbors an early distrust for organizations, beginning with the Boy Scouts. How is Forhan’s ultimate career path a rejection of his father’s ideology? 10. When Forhan hides from his parents the fact that his gerbil has died, he observes that he has “begun to nurture a protective privacy” (page 117). How do Bick Bark (page 228) and Forhan’s sense that he can disappear behind personas reflect this instinct for privacy? 11. Compare the day Forhan’s family celebrates his mother’s birthday “as if we were rehearsing for a future in which [their father] would not exist” (page 167) with the “relief” he experiences when his father dies (page 198). What other seemingly unusual reactions to moments of pain or grief do you notice in the book? 12. Through college and the years immediately following, Forhan measures his own artistic integrity and success against his brother Kevin’s. As early as their family vacation to Disneyland he appreciates that “for Kevin, to have an experience inevitably meant to observe himself having it and therefore to feel its joy or solemnity or horror but also its absurdity or strangeness or wonder. He was conscious of being conscious” (pages 178–79). How do the brothers come to mutually inform one another’s poetic sensibilities as they venture into adulthood? 1. On page 254, Forhan shares an anecdote about an inspiring teacher, Mrs. Myers, who encouraged him to keep pursuing his poetry. Think back to one of your own teachers who inspired or humbled you. Share the memory with your book club. Discuss similarities and differences between stories. 2. When Forhan’s wife hears that his mother told him about the dress she wore the first time she was intimate with his father, she is surprised that Forhan did not ask for more details. But Forhan already decided that “out of politeness, or fear, or a sense of how easily interest becomes intrusiveness and a thirst for the truth becomes a hunger for the sensational, I will not ask everything” (page 26). Have you ever avoided asking a loved one about the details of an event? What were your motivations? Discuss. 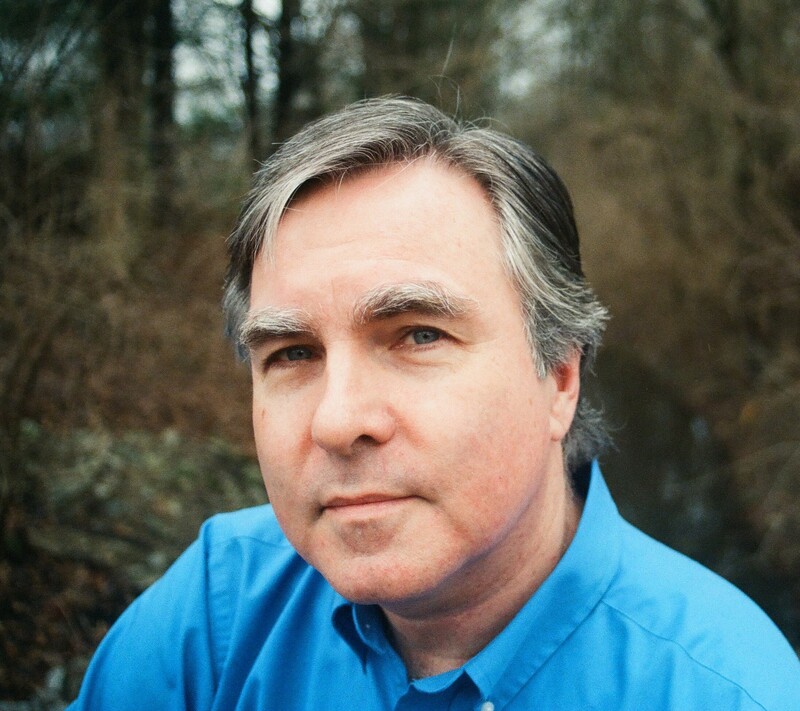 Chris Forhan is the author of the memoir, My Father Before Me, as well as poetry collections Forgive Us Our Happiness, winner of the Bakeless Prize; The Actual Moon, The Actual Stars, winner of the Samuel French Morse Poetry Prize; and Black Leapt In, chosen by poet Phillis Levin for the Barrow Street Press Book Prize. He was raised in Seattle and earned an MA from the University of New Hampshire and an MFA from the University of Virginia. He has received a National Endowment for the Arts Fellowship and two Pushcart prizes. His poetry has been anthologized in The Best American Poetry 2008 and has appeared in Poetry, Ploughshares, New England Review, Parnassus, and other magazines. He teaches at Butler University in Indianapolis, where he lives with his wife and two children.